Mr. Volcker delivers gravitas and credibility to Sen. Obama, people in the Obama camp say, as well as ideas and approaches to the economic crisis. “Volcker whispering in Obama’s ear will make even Republicans comfortable, because he’s a hero of the right and a supporter of a strong dollar,” says John Tamny, a supply-side economist and Republican. Volcker is a longtime Democratic who has in the past consciously stayed out of the fray of partisan politics. He and Senator Obama originally met in June 2007 when he attended a private dinner in Washington, DC at the invitation of Mark Gallogly, co-founder of Centerbridge Partners, a New York private-investment firm, and an early supporter of Sen. Obama. 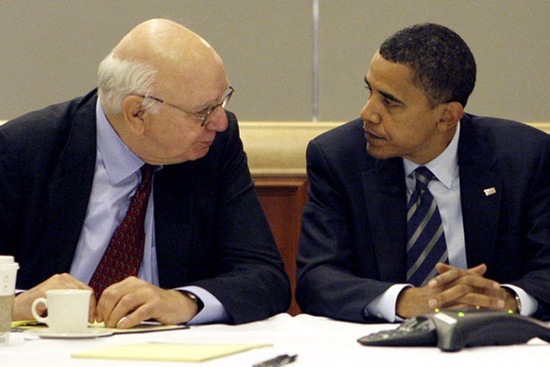 The Obama-Volcker relationship continues to evolve, campaign advisers say. At the start, Sen. Obama sought advice from Mr. Volcker and other outside voices through his economic adviser, Austan Goolsbee, a 39-year-old University of Chicago professor. But starting with the demise of Bear Stearns Cos. in March and continuing today, Sen. Obama speaks directly and often with Mr. Volcker about the intricacies of the financial crisis and possible solutions. They’ve become “collaborators,” as one aide puts it. 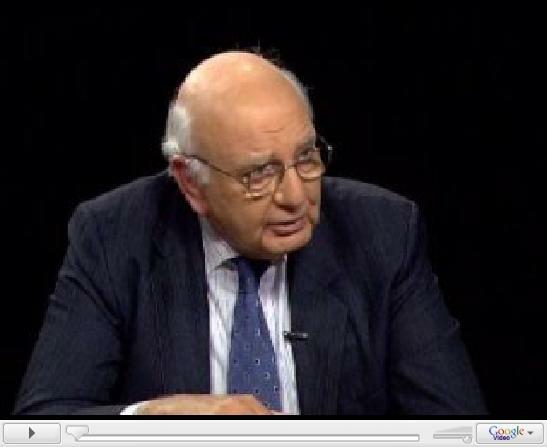 In case you aren’t familiar with Paul Volcker, here’s the video from the Charlie Rose show from October 9, 2008 about the 2008 Global Financial Crisis. (Interestingly, the second guest this Charlie Rose video is Dominique Strauss-Kahn, chief of the International Monetary fund, who is currently distracted by extra-marital affair and patronage investigations.) At the 35 minute mark, Volcker has some interesting things to say about leadership and the current financial crisis. Successful leaders recognize the need and have the confidence to surround themselves and take counsel from people that present a diversity of opinion, particular expertise and often times are more intelligent than they are. Tagged with Election 2008, President Barack Obama, Wall Street Journal.